1. personal/group account for the mail module. 2. SMPT-only account for asynchronous notifications. A mail account for the mail module is created for a user or group. This is supported by an assistant. This account is used to send e-mails from the mail module. A SMPT-only account is always required if any notification is to be sent from EGroupware. 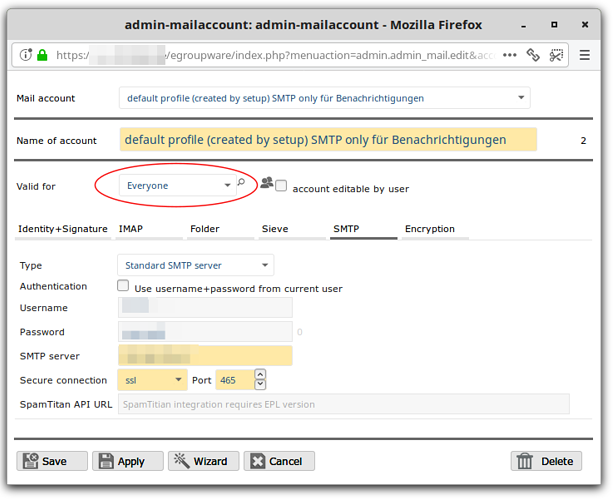 Even if the Mail module is not used, an SMTP-only account is still required! EGroupware sends with logged in user via the user account. For example, if an appointment with a notification is entered in the calendar, EGroupware must be able to send the reminder even without a logind user. This cannot be done at this moment via the user’s account/access data. EGroupware does not know the password without a registered user in plain text and therefore cannot use it for sending via a mail server. 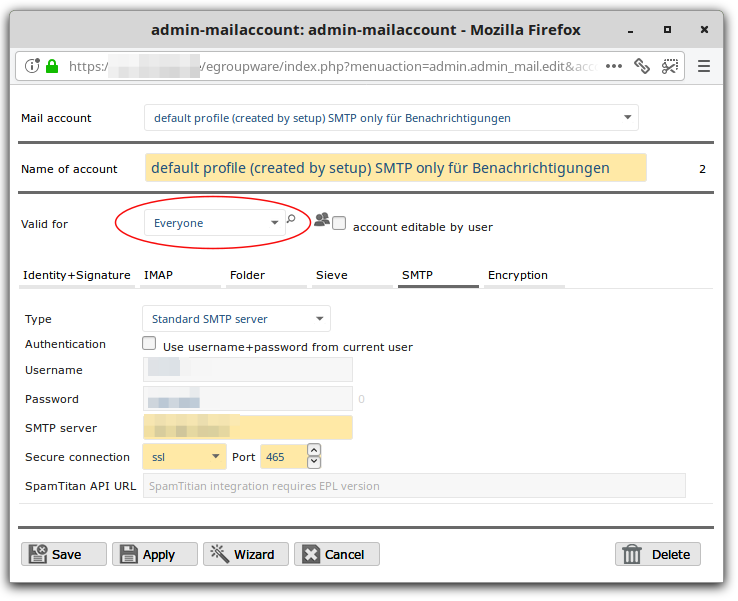 To create an SMTP-only account, simply use the wizard to create a mail account, skip everything to the SMTP settings. Here you enter valid access data on a mail server. We recommend that you create a separate user on the mail server for this purpose. It is important to make sure that only one SMTP-only account is created! Otherwise malfunctions may occur. The SMTP-only account is normally created by the package installation, but should be checked in case of problems. The existing e-mail accounts can be reached via the user administration. In the context menu for a respective user => mail account => selection of the assigned account above via the drop-down menu. If you have questions or suggestions regarding this how-to, please post in the forum.